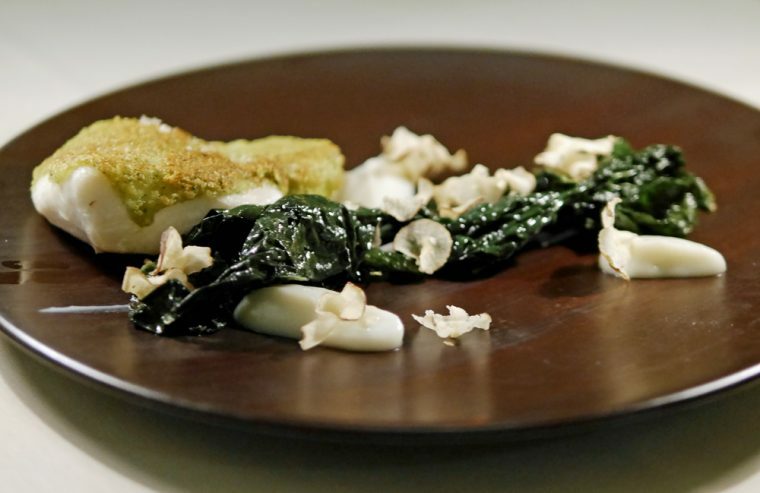 What could be better in the bleak month of January than to be invited to dine at the London offshoot of a two star Michelin restaurant on the Amalfi Coast? Well, obviously GOING to the Amalfi Coast, but honestly, I’d like that invite to appear in May or June when the weather is a little better. 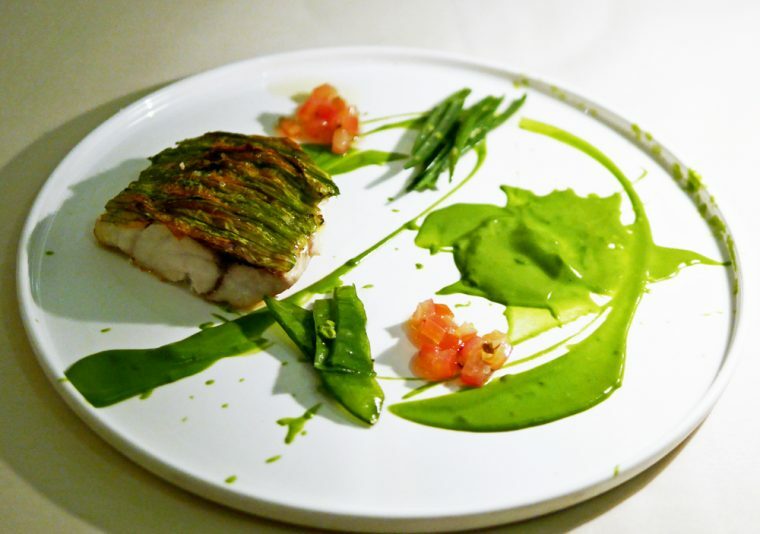 Quattro Passi is a highly rated restaurant in Nerano run by chef Antonio Mellino and, although the London offshoot has been opened for around three years, it was relaunched this January as QP LDN, with plans for a Dubai restaurant to follow on shortly. The interior is unmistakably Italian, with luxurious cream seating, a well stocked, glittering bar and contemporary art on display. We arrived rather early for a Mediterranean restaurant, but then this is Dover Street. Being greeted with a glass of DOCG Valdobbiadene Prosecco Superiore, Col Vetoraz was a good start. Prosecco can be a little too sweet for me, but this was pleasantly dry and made an excellent aperitif. 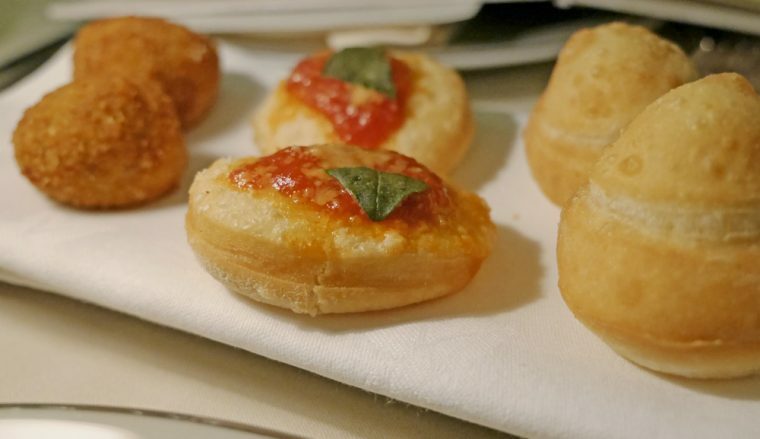 While we browsed the menu, the waiter appeared with a small plate of aperitivo to enjoy. I particularly liked the arancini which were packed with Italian sausage and a little cheese. Sadly for my pescatarian companion, he couldn’t eat them…so I got both. Ricotta stuffed pizza bread was a delicious mouthful, but having eaten both the Arancini, I left the focaccia pizzetta to my companion. 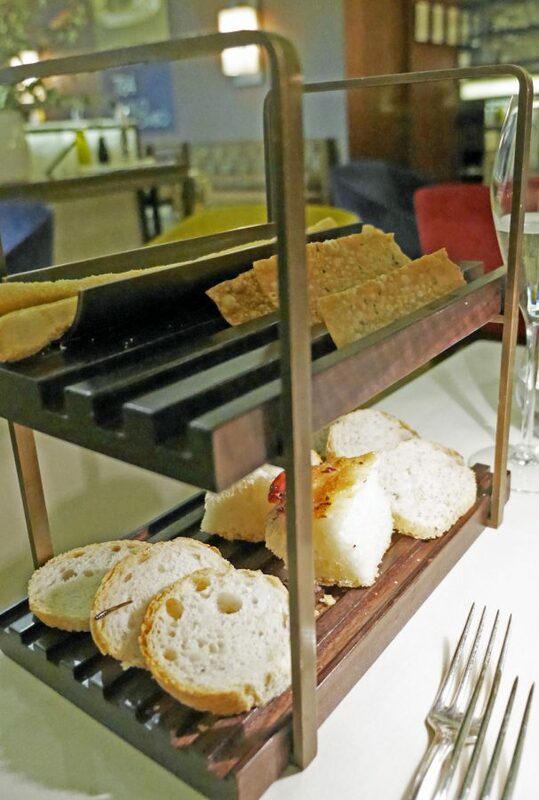 A selection of artisan bread arrived, served on a pretty and unusual tiered rack. I was trying my best to avoid eating too much, but it was hard to resist and very good. We shared antipasti – a delicious smoked and marinated salmon (£18.50) served with an apple, nut, and cucumber salad with a yoghurt sauce and a yellowfin tuna tartare served with an avocado salad (£20.50). 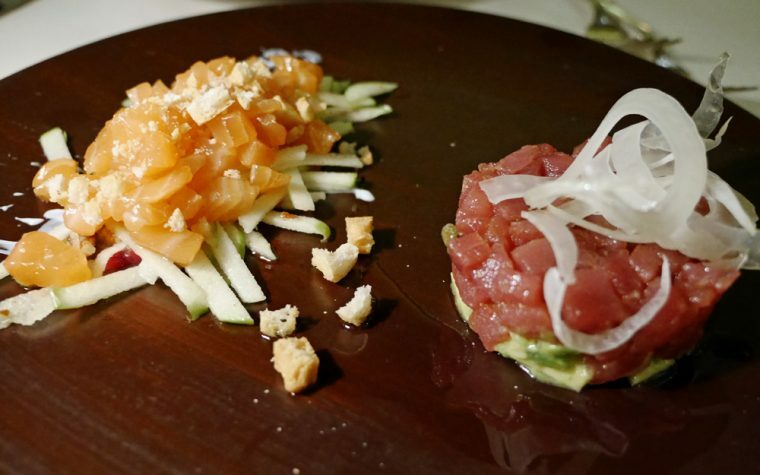 Both light and fresh, the yellowfin had a slightly spicy dressing which paired beautifully with the avocado while serving the salmon with the salad made for a great textural contrast. 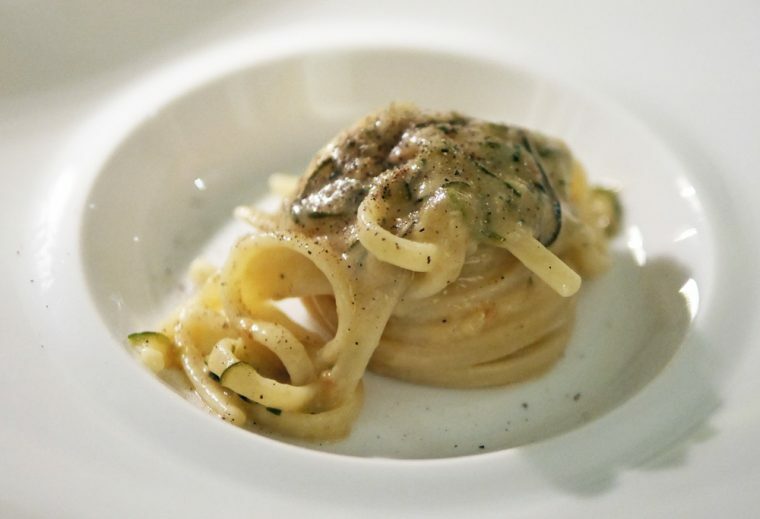 Next, a visually stunning and innovative dish which was listed as squid tagliatelle with cauliflower (£18.50). 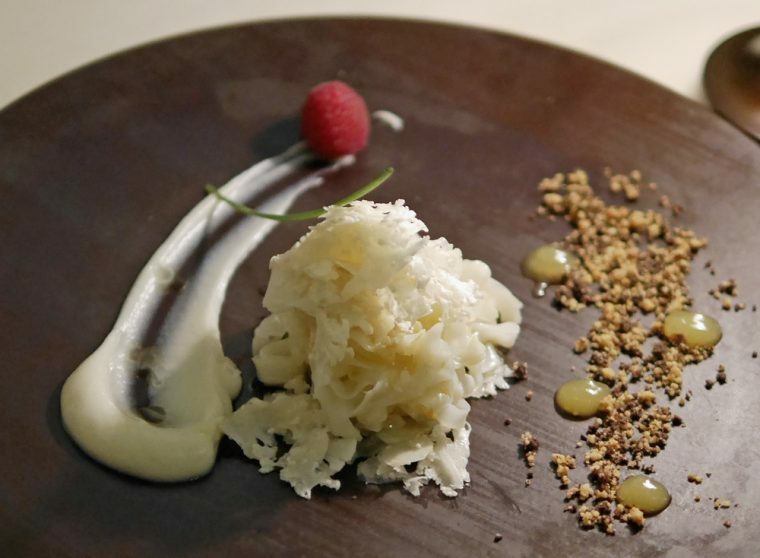 I have to admit, I was expecting a bowl of steaming pasta, but this was actually a cold dish of fine ribbons of squid which had been steamed before being served in an orange and lemon marinade with wafers of raw cauliflower. It was utterly delicious and really unusual. A glass of 100% Chardonnay, Pietrabianca Castel del Monte 2014 from Puglia, was an altogether softer mouthful of wine, with notes of melon and lemon. Linguine Alle Nerano (£19) is apparently one of the house specialities, a fine, gluten free pasta with a fried zucchini and parmesan sauce. All the pasta at QP LDN is homemade and gluten free. This was perfectly al dente with a light, creamy sauce. We’d both ordered fish dishes for our main courses. My choice of halibut with a herb crust of parsley mint basil thyme (£29) was served with black cabbage and a Jerusalem artichoke cream. 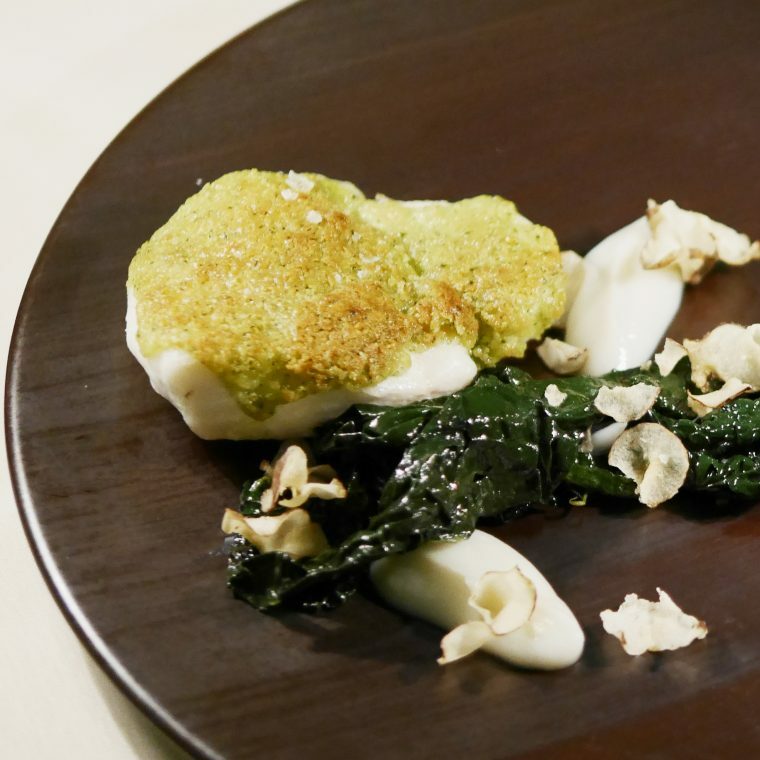 It was a truly great pairing of ingredients – the cavolo nero was tender without being overcooked and the halibut was firm yet flaky. The nutty Jerusalem artichoke cream made a perfect contrast. We probably didn’t need two desserts, but the lure of the warm orange tart (£9) was just too much for me. 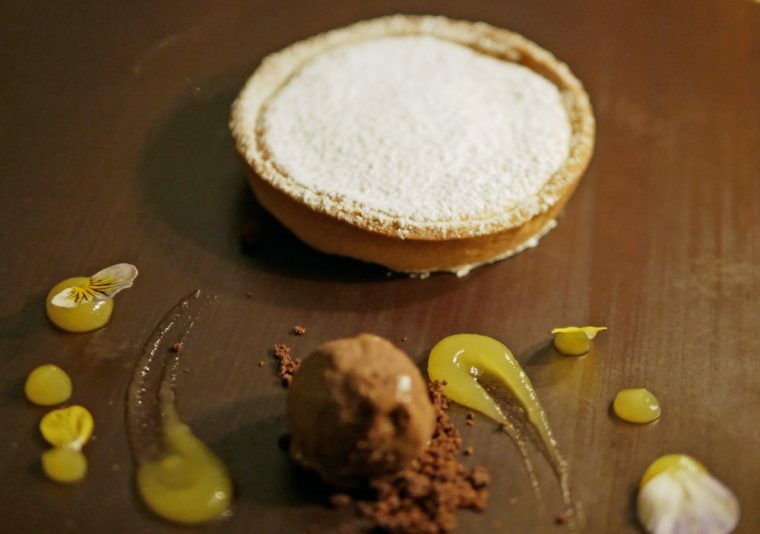 Definitely, worth the 15-minute wait, the tart was full of a fresh orange curd with a crisp pate brisee shell. Served with a bitter chocolate ice-cream, it was a perfect end to the meal for me. 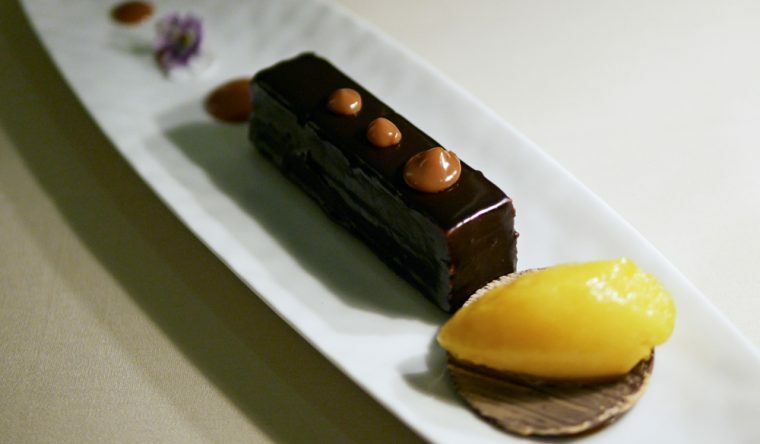 Meanwhile, my companion had chosen the stunning chocolate and caramel mousse with passion fruit sorbet (£8.50) which vanished so quickly I didn’t get to taste. With our desserts, we were served a glass of Puglian Moscato Dolce, Leone de Castris. Our meal was definitely a success, star dishes of the squid tagliatelle, halibut with Jerusalem artichoke and cavolo nero and the warm orange tart were outstanding and everything else was more than just good. If I have any criticism it is that this place is not cheap. There is a good value set menu for both lunch and early evening and for the quality of the dishes, the main courses are quite reasonable. By comparison, the antipasti and even the pasta dishes seem costly. 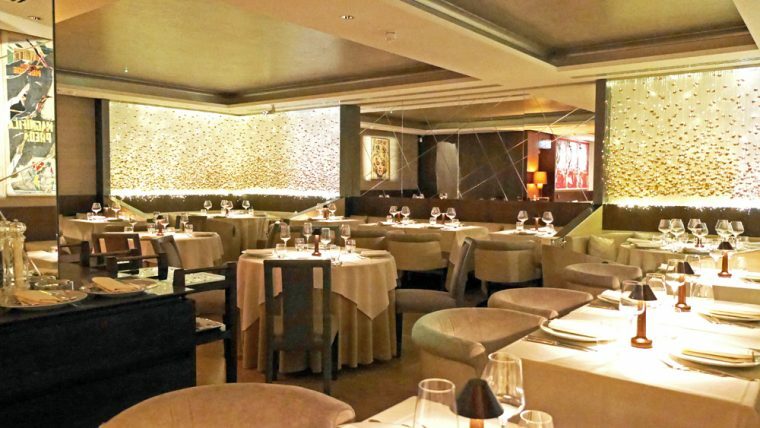 That said, Mayfair is perhaps the most expensive part of London and our experience of QP LDN was that the level of service and quality of food was exceptional. And, by the time we left, the restaurant was buzzing – just as you’d expect in any good restaurant in Italy. The food is very nicely presented and I’m sure it is oh so delicious!